Analyzing complex gene networks can be as easy as one, two, three. One: Introduce CRISPR-based perturbations to large numbers of cells. Two: Measure the effects of these perturbations with single-cell RNA sequencing. Third: Dissect the genetic pathways that link genotype and phenotype. By following these steps, researchers can explore the functional impact of genetic risk factors from genomic studies more efficiently than has been previously possible, or look at genes mutated in cancer cells. This high-throughput approach to the screening of complex genetic interactions is called Perturb-seq. It was developed by researchers from UC San Francisco and the Broad Institute. Working collaboratively, the Broad and UCSF teams used Perturb-seq to make new discoveries about, respectively, the immune response in dendritic cells, a cell type that acts as a critical messenger within the immune system, and the unfolded protein response, a cellular stress pathway implicated in a number of neurodegenerative disorders, demonstrating the potential of this platform to yield insight on a variety of biological questions. This work was described in a pair of papers that appeared December 15 in the journal Cell. In the Broad-led study (“Perturb-Seq: Dissecting Molecular Circuits with Scalable Single-Cell RNA Profiling of Pooled Genetic Screens”), researchers used CRISPR/Cas9 nucleases to cut DNA and inactivate genes for transcription factor proteins (TFs) involved in the immune response in dendritic cells and to inactivate genes for TFs and cell-cycle regulators in a cancer cell line. Perturb-seq accurately identified individual gene targets, gene signatures, and cell states affected by the individual gene modifications and explored how these genes interact and depend on one another. 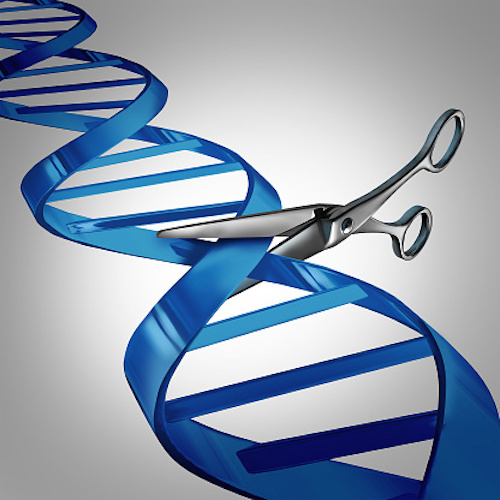 In the UCSF-led study (“A Multiplexed Single-Cell CRISPR Screening Platform Enables Systematic Dissection of the Unfolded Protein Response”), researchers used CRISPR-based transcriptional interference (CRISPRi) to simultaneously repress up to three genes in a cancer cell line and to investigate the unfolded protein response (UPR), a well-known quality control pathway that senses stress in the endoplasmic reticulum (ER), where many of a cell’s key proteins are made. The UPR detects errors in cells’ protein-production machinery and ensures that impaired cells self-destruct. Besides combining CRISPR and RNA-seq, the Broad and UCSF researchers implemented a cell barcoding strategy that allowed them to identify specific perturbations that had been performed on cells within pooled experiments after the fact, while measuring at the same time the effect of those perturbations on the mRNA transcripts in the cell. After an experimental treatment, such as immune stimulation or cellular stress, the cells could be subjected to droplet-based, single-cell RNA sequencing to read out both the transcriptional profiles and barcodes’ identities. Each cell’s transcriptional profile is associated with the one or more genetic perturbations delivered to it by indexing both the cell’s mRNA and the barcode identity. The two studies were also accompanied by a third study, which also appeared in Cell. It was contributed by scientists from the Weizmann Institute of Science. Like the UCSF and Broad teams, the Weizmann team described a combined CRISPR/RNA-seq approach. In their study (“Dissecting Immune Circuits by Linking CRISPR-Pooled Screens with Single-Cell RNA-Seq”), the Weizmann team described how they probed the wiring of particular mouse immune cells that were engaged in combating pathogens. This proof-of-principle experiment identified genes that are important for the function of various immune cells, and illustrated in high resolution how they direct a complex and concentrated response against invading pathogens. The new combination technology, however, enables researchers to manipulate gene functions within single cells and understand the results of each change in extremely high resolution. A single experiment with this method may be equal to thousands of experiments conducted using previous approaches, and thus may advance the field of genetic engineering for medical applications.